The University of Plymouth Potential High Achievers Scheme allows us to identify those applicants who have demonstrated consistently high academic performance in addition to highlighting key attributes which we believe align to our ethos. These applicants have the potential to make a difference to their chosen field and will receive an unconditional offer to allow them to focus on continuing their academic career at a top modern university. We will read your personal statement and references, look at achieved qualifications including GCSEs and assess your predicted grades. The specific criteria will vary for each course and different Admissions Tutors will be looking for different qualities in applicants. Only outstanding applicants are invited to the scheme. 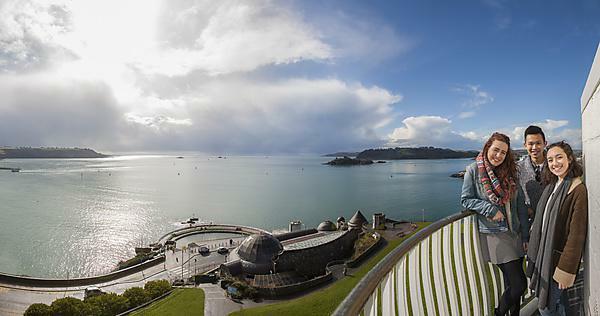 You will have received a standard conditional offer before being invited to the scheme, it will be updated to an unconditional offer when you choose University of Plymouth as your firm choice on UCAS Track. An unconditional offer is a sign of our commitment to you and we ask you to commit to the University of Plymouth in return. We believe it is important for you to receive all your UCAS offers in order to make an informed decision on the best university and course for you. The only deadlines therefore are the standard UCAS deadlines. An unconditional offer is exactly that, unconditional, so you will still have your place on the course. However, you will have been selected for the Potential High Achievers Scheme because of your outstanding application and commitment to your studies. We hope that the unconditional offer will reduce some of the worry for you in what it a stressful time, and allow you to concentrate on your studies. No. The unconditional offer only applies to the course you have chosen and the year of application. If you are unsure of what course you want to study or year you want to start university, contact our Admissions Team who will be happy to talk to you about your options. No you don't have to accept. You will have received a standard conditional offer before being sent the letter inviting you to the scheme and you can treat this offer the same way as you would any other conditional UCAS offer. You can decline the offer or make it your insurance choice (please be aware that accepting the offer as your insurance choice means it will remain a conditional offer). Unfortunately, due to the visa restrictions we are unable to extend the scheme to overseas applicants.